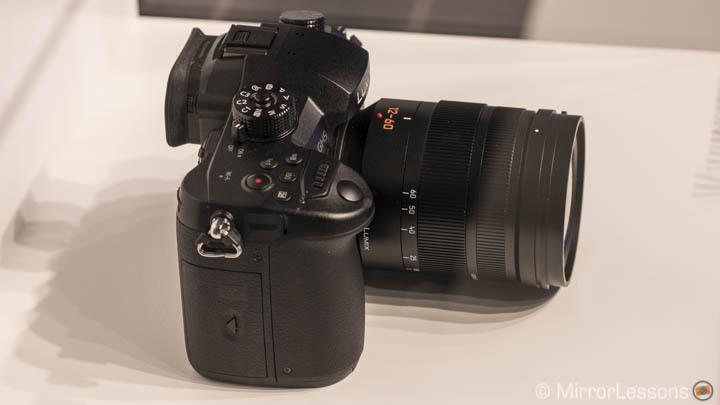 The Olympus OM-D E-M1 mark II and the Fujifilm GFX might have stolen the show at Photokina 2016, but the announced development of the Panasonic GH5 is no less exciting. 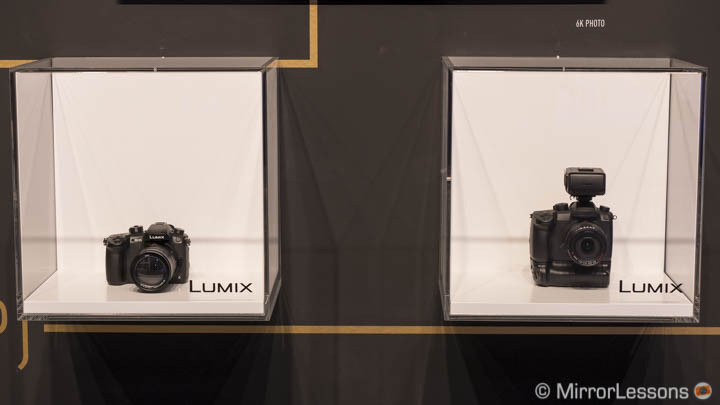 Granted, we do not know much about the camera right now, as Panasonic has been very careful to unveil just a couple of specifications to build excitement, but what we’ve seen looks promising. A hands-on with the camera was impossible because it was kept inside a glass box the entire time. Even journalists couldn’t have a private view. Still, the camera deserves a dedicated article with some impressions and thoughts for what will come in 2017 and 2020. Why 2020, you might ask? Well, let’s find out! 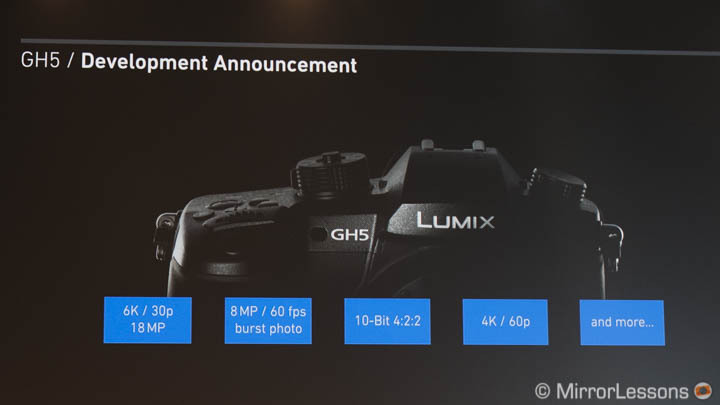 The Panasonic GH5 will be able to record in 4K up to 60fps, which is double the speed of the current GH4 and most recent Lumix cameras (30fps). It will also have a 4K mode at 30fps with 10bit and 4:2:2 of colour sampling. Panasonic didn’t give any more specifications about the latter but my hope is that they took the time to quote it because it’s internal recording. If it was external via HDMI or the YAGHE unit, it would be no different to the GH4’s capabilities. For the camera to be able to record internally at 10bit 4:2:2 is a big step forward for videographers. It means you will get better compression and more colour information straight out of the camera without the need to invest in an external recorder. It would also mean more quality for the 4K Photo mode: the 8MP JPG you would extract from a 4:2:2 10 bit signal (instead of 4:2:0 8bit) would have better quality. Then we have an announced 6K mode at 30fps with the possibility to extract an 18MP still image. This feels like an upgrade of the 4K Photo mode that will remain available but at 60fps. What remains unclear is if the camera will record 6K in normal movie mode. The 6K Photo mode, like the 4K Photo mode, will be a video capability so I don’t see why the camera wouldn’t be able to offer complete 6K video. To record 4:2:2 10-bit video will require SD cards with more space. It is likely we will also see a dual SD card slot with UHS-II compatibility. I can guess that 5-axis sensor stabilisation will be present since Panasonic is including this technology on its most recent cameras. I expect an updated V-log profile and all the other video specifications seen on the GH4 and GH4R. There was no mention of the sensor or resolution. Considering that 6K needs at least 18MP, it would be safe to assume the camera will have a 20MP sensor similar to the one found on the GX8 (perhaps a new version with improvements in dynamic range and ISO). And maybe the camera will be able to record 6K without any crop and with full pixel readout? 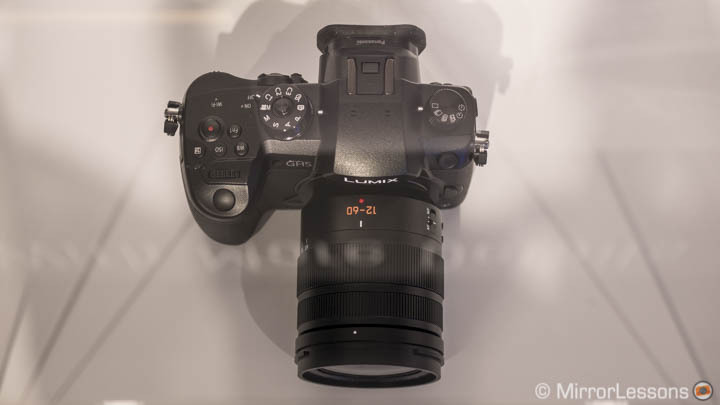 The mock-up shown at Photokina suggests an updated design that looks like a mix between the G85 and the GH4. 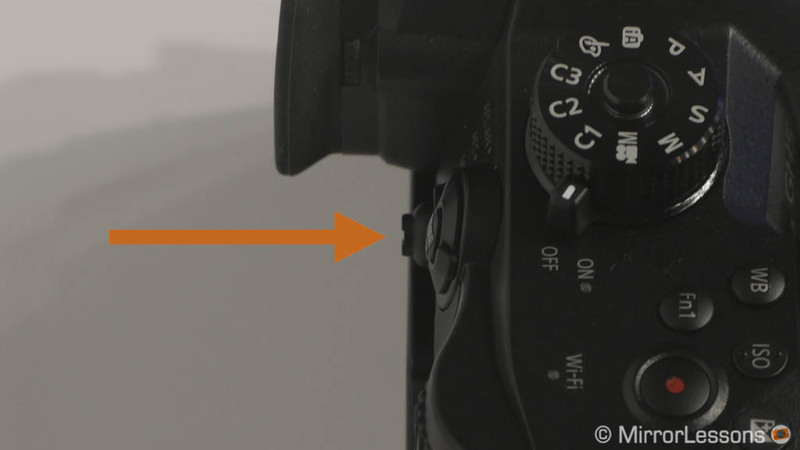 The fake pentaprism and the top plate seem more rounded while the grip looks more similar to that of the GH4. On the rear, we spotted an AF joystick during the presentation and we found confirmation on the mock-up on display. 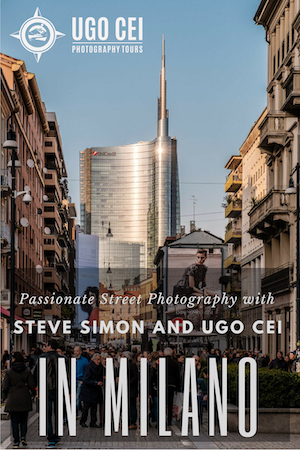 That would be a great addition indeed as I love the one on the X-Pro2/X-T2. 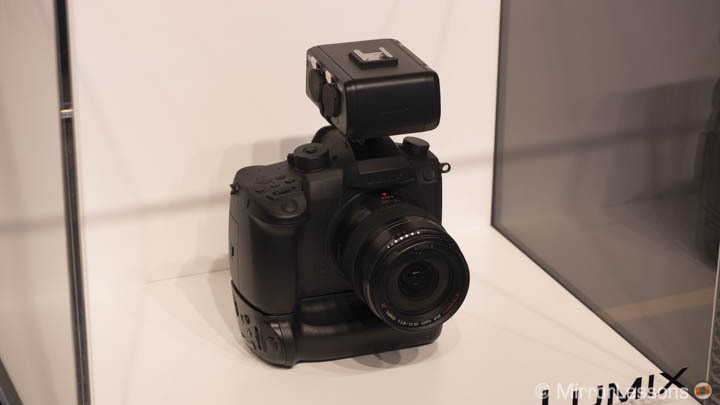 A second version of the camera without any white markings was also displayed with a battery grip (probably a new version in comparison to the one designed for the GH4) and a new XLR audio module. The GH5 should be ready by the first half of 2017. 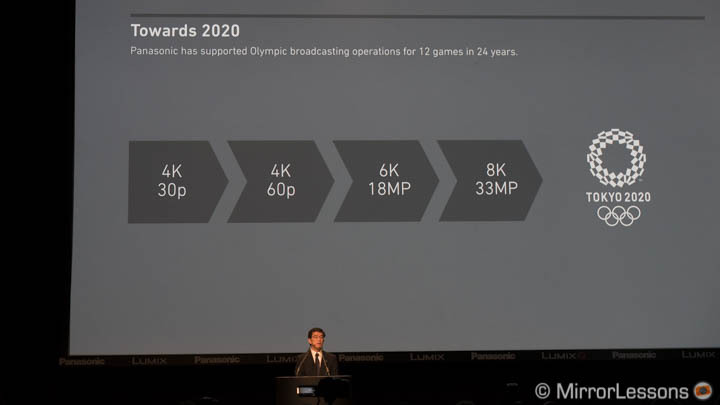 During the press conference, Panasonic made it clear that they are aiming for 8K. This isn’t a surprise as many brands are working on 8K cameras including Sony and Canon. 8K will mean extracting a 33MP JPG file. If Panasonic also manages to make it a robust codec to enhance the quality of what will probably be called 8K Photo, it could be the definitive fusion of video and photo. Granted, for now most of this information is pure speculation. 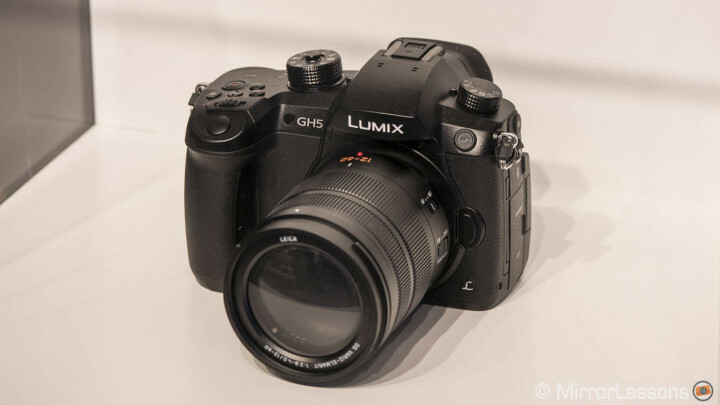 Things could change, so first we have to see what the GH5 will look like when the final specifications are released. But I do have the feeling that the next three years will be very exciting indeed! Are you excited about the arrival of the GH5? Share your thoughts below! Check-out our Photokina 2016 coverage here!